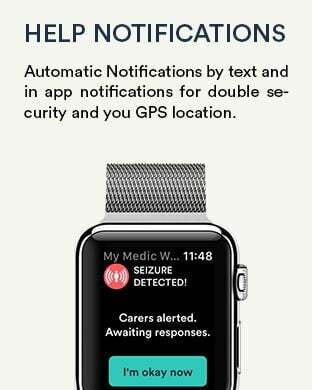 The My Medic Watch™ Seizure app is a smartwatch app which interprets data captured by sensor technologies on the Apple Watch and by using innovative algorithms automatically detects if the wearer has a seizure and activates immediate emergency assistance. Today, more and more people are choosing to live independently, in their own homes – aided by vital technology innovations like the My Medic Watch™ Seizure app, which is currently under medical trial in Sydney. The My Medic Watch™ app is designed to be downloaded to a wearable device such as a smartwatch. It can be worn by people of all ages who are prone to seizures, and people who are still living alone in their home. This ground-breaking app uses proprietary and innovative algorithms, which interprets data automatically captured by sensor technologies on the smartwatch, to determine if the wearer has a seizure. 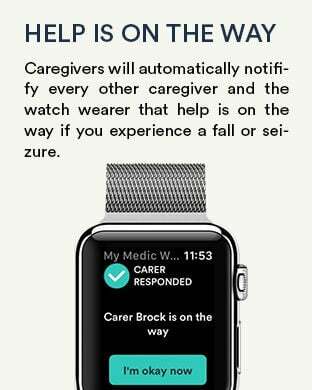 If the wearer does have a seizure, the My Medic Watch™ app automatically detects the event and notifies all dedicated caregivers, without the need for manual intervention, providing details of the individual’s location. The app can also be activated manually by the wearer if he or she is feeling unwell and requires assistance, simply by pressing a button on their smartwatch. Each alert recipient can send a response advising whether they are able to assist, which is forwarded to both the individual and the other caregivers. The My Medic Watch™ app allows people who are vulnerable to seizures to get immediate care and assistance when they have a seizure, so they remain feeling safe in their normal environment and can keep their autonomy. As soon as a seizure occurs, the My Medic Watch™ app detects it using smartwatch sensors and an accurate algorithm. 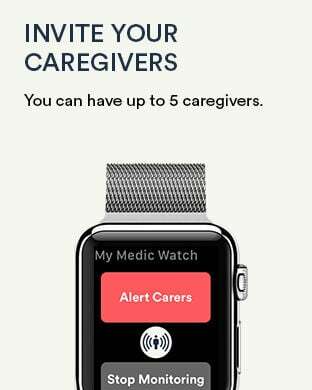 The app then automatically sends notifications with the wearer’s GPS location to the nominated caregivers without the need for manual intervention based on workflows of escalation. All caregivers are sent updates of the progress, keeping everyone informed and reassured. Included in the user’s subscription is access to real time data for all related medical episodes. The user can also choose to give access to his or her doctor, so that their medical data can be reviewed securely, online. The App uses HealthKit to save and store user's heart rate during the medical episode. Thanks to My Medic Watch™, those with a condition that makes them susceptible to seizures, can continue to live independently in their own homes, with ultimate peace of mind. My Medic Watch provides a monthly and yearly Seizure app subscriptions which include a 30-day free trial. With the My Medic Watch app subscriptions, the wearer has his/her smartwatch app running and benefits from being monitored all the time with automatic Seizure detection. These app subscriptions include automatic medical event app notifications to the patient and to the caregivers. Please read below details about this subscription before purchasing it.